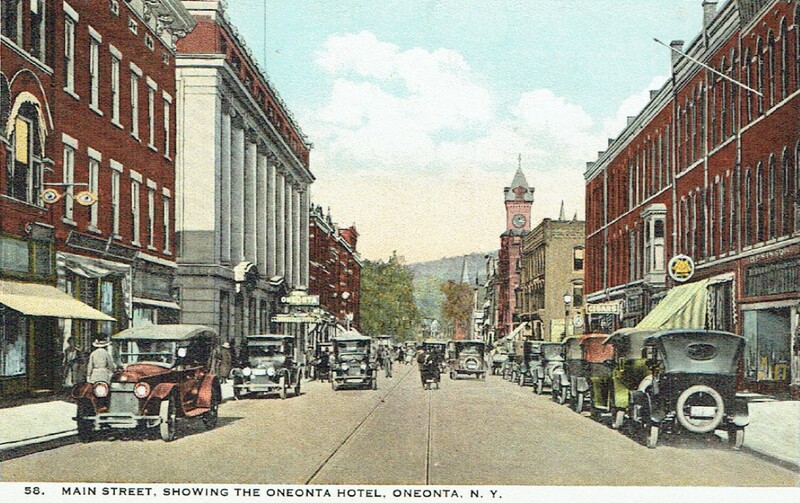 Welcome to this self-guided tour of Walnut Street Oneonta, part of the Downtown Oneonta Historic District on the New York State and National Registers of Historic Places. We're proud of our historic downtown, and pleased to share it with you. This self guided walking tour is available as a hard copy at the Greater Oneonta Historical Society, and at the Destination Oneonta Welcome Center. Download the Self Guided Tour Here as a PDF. Prepared by the Greater Oneonta Historical Society in 2016, with the support from a grant from Otsego County.